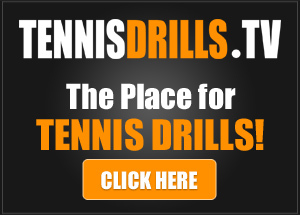 Serial Drillers… How group lesson programs are killing American Junior tennis. I have been teaching for over 33 years and have logged over 60,000 hours teaching on the court and another 15,000 hours watching my players compete in either tournaments and/or league play. Something has changed. Today’s junior players are not playing enough sets. I am fortunate enough to travel the world as a speaker and coach and everywhere I go American coaches tell me they have the same problem. Kids that take drills (group lessons), private lessons, special events, but avoid match play like it was the plague. In my own program I have seen the shift as well. When I taught players in the 1980’s, they could not wait to get out on the court and PLAY sets. Drilling was only one part of their overall training regimen and it comprised 2-4 hours per week at the most. Back then, the good players additionally took a private lesson and played tournaments on the weekend, or if there was no tournament, they played practice sets. Recently I was sitting with a several fellow teaching professionals discussing this very topic. Many of them were expressing frustration in their inability to get their own players to play more sets. I asked this group of teaching pros a question… “How many of you took a bunch of lessons when you first started in tennis and how many of you just played a bunch of sets? I knew what the likely answer would because most of this group played as competitive juniors in the 70’s and 80’s. But I was surprised by the overwhelming lopsidedness of their response. Not a single pro from this group had taken any group lessons. They all played sets and a few of them took an occasional private lesson. After all, the only options for training back then were to play with a friend on some public courts or join a club and play matches there. I got wondering about this this whole paradigm regarding the way that tennis is taught and learned here in our country, including by myself. Could it be that group lessons have become the enemy of match play? I know I have a ton of kids I my own program that take groups lessons, private lessons, and just about any clinic or special event that is offered, but they stay away from match play. Playing in tournaments or just calling a buddy to play a few sets seems to be a thing of another era. Perhaps we need to repurpose the job of the tennis pro in our country from one who teaches tennis to one who sets up play opportunities and from those opportunities, players can learn (from actual experience) what they really need to work on and then take lessons on that later. Do we have the order right? I was discussing ideas with my own pro staff and we realized that one of the problems is that group lessons are ultra -convenient. At our club we feel like we do an excellent job with our group lessons. If fact, I own a website with more than 1,000 drills so you would expect that we run great drills. But in analyzing our own players, we really feel that since they know the group lessons (drills) are going to be well run, organized, and have a purpose, that players feel like drilling is all they need. They get to hit a ton of balls, get great instruction, and hear some awesome advice on strategy. Besides, playing sets would require them to book other times in the week that may be different each week and also securing an appropriate opponent to play. These two realities are having a negative effect in our club and I suspect other clubs as well. The end result is the development of an army of American kids that can strike the ball beautifully but cannot seem to win a match… If the game is the best teacher, then match play is the best game. So what is the proper role of group lessons? Like I said earlier, we have a great junior group lesson program. And these classes in and of themselves are not the problem. They are only a problem when they are the only thing that players do to train. Group lessons should be a part of a players overall training regimen, but I feel that for every hour of drilling that happens and equal number of hours of match play should happen. So what is the solution for getting out of this mess? I feel it is in helping players develop an effective overall training regimen. I have started doing private lesson for families at my club where we simply meet for an hour and they can hear my thoughts on the importance of match play and what exactly their kids should be doing each week to get better. Families are eager to get this right, but many do not know they are doing anything wrong in the first place so I started emailing our families making them aware of these new family private lessons which, by the way, do not take place on the court. 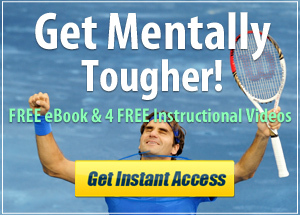 I am serving as the family’s tennis consultant and helping them get their kids on a proper training regimen. Often they are surprised that I a recommending less drills and more use of their walk-on passes, which actually allows them to spend less at the club. Below are some ideas to help you help your families understand what they should be doing. I believe it all starts with the big question… What do you want to do with your tennis? That is the opening question I ask the player in our family meeting and from there we discuss the options as I have laid them out below. Recommended Regimen: These players usually drill once per week, but not year round. The typically do not take private lessons on a regular basis. They play less than 5 USTA tournaments a year and rarely play practice sets on their own. These players do not have any off-court training program nor do they practice their serves on their own. They normally drill one time a week on a seasonal basis. These players usually do not specialize in tennis and often play other H.S. sports. Recommended Regimen: These players typically drill 1-2 times a week and may or may not take a weekly private lesson. They play between 5-10 USTA tournaments a year and rarely play any practice sets on their own. 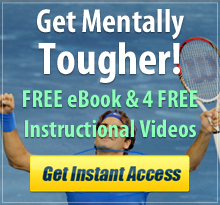 Most do not have any off-court training program nor do they practice their serves on their own. These players usually take drills year round and play 2-3 days per week. Recommended Regimen: These players typically drill 2-3 times per week and take 1-2 private or hitting privates per week. They play roughly 10-12 USTA tournaments per year and play 2-4 practice set per week. About 50% of these players are on an off-court-training program and practice their serves on their own. These players usually take drills year round and play 3-5 days per week. 1) It is important that the parent have the same goals for the player that the player has. Many times frustration sets in when the parent’s expectation is higher than that of the player. 2) The player must be aware of the above information and avoid the trap of having a certain level as a goal while doing the “workload” of a lesser goal. It is not uncommon to see players that say they want to be nationally ranked while going through their entire junior career doing the workload of a sectionally ranked player. You’ve pointed out one of the major problems with today’s junior tennis. Most junior players are serial drillers. I agree with Darren Emerick that Junior Team Tennis is a good bridge to competitive play. Properly executed, it provides a framework for regular play. Although I’ve tried to encourage informal play I’ve seldom been successful. My suburban parents are all very busy working and caring for their children so that extra two hours a week of their time for an informal match just isn’t going to happen. If it’s not organized it won’t happen! I think one solution is to add more play to practices. Great article, I agree hole heartedly! I strongly belive in playing different level players 2 r 3 times a week, and do a grp r private lesson as needed. I have my high school students match play every sunday 12 max, I started this program 7 to 8 years, parents think it help the kids a lot to c where they stand after the weekly matchs, after doing lessons, it showed what they learned, not the just the technique, do they have it between the ears, to win matches mentally. I come from playing cricket and soccer growing up in india, cricket my passion, played till I left the country. Picked up a tennis racket in 1975, self taught in concord nh, public park memorial field , 5 to 6 days a week, now I have been playing for 41 years, started teaching in 2002, after layoff in the IT field i was in. Got certified as a teaching pro in 2004. PTR. Point is play different people, different levels and learn how to win matches, no private lessons r grp drills gives u that experience . Like u say in the article present group don’t like to play much, just do lessons, come bk the following week and start over a lesson. I am happy to see the article, I am going to show this to my students and kids parents about , playing more matches. National level coaches like yourself, encouraging more playing, helps coaches like me. Not me. 15 minute warmup drills then its some form of match play or point play. This Jedi has taken your message and applied it. Thank you for a very thoughtful article that can be shared with kids, parents and coaches. I want to share an experience that totally confirms your observations. I watched my granddaughter play an entry level USTA match totally unprepared. Her parents are not tennis people. The coach recommended she play this tournament so mom signed her up. She got beat up by the number 4 seed. In the consolation round she was beat up by the number one seed who lost the first round. As a past ranked sectional senior, I know you have to play practice matches. From what her mom said I thought this was another green ball type tournament. If I had known otherwise I would have suggested she not play until she had played social match play. I am not sure this child will ever play a tournament again. The USTA and coach may have lost another future tennis player. My granddaughter does not have a serve. She can rally and did get some points. . This is what comes of drilling, going to camps and yes private lessons with a coach who apparently does not know that this kid never played a full 2 set match. He apparently did not know her serve was totally unreliable. I used to think it was scheduling and finances that kept my players from playing tournaments. But our area offers plenty of free and inexpensive one-day tournament experiences (especially for beginners), so that’s not always the reason. Out of desperation, I have been doing the same as what Dee mentioned – building match play into the group lessons where I have a captive audience. I am also considering building a tournament experience into the group lesson package cost somehow, like a culminating event, similar to a recital for a dance or music student. That way, the students are ‘practicing with a purpose’, preparing for that future tournament rather than just randomly hitting balls once a week. 1. For a demographic that supposedly doesn’t want to play matches, during the group clinic, match play is by far the most requested activity: “Are we gonna play real tennis now?” So part of me thinks my students are eager to play matches, just not getting the opportunity outside of clinics – which brings us back to your point about parent education. 2. I am a huge fan of technology and social networking. My parents receive a weekly email from me with news, updates, info on local tournaments, and usually pleas/entreaties to consider participating in said tournaments. But nothing gets their attention like a personal conversation or phone call. Often they have no idea about the event when I ask them in person or by phone, so clearly the social media and technology is not as effective as I hoped. Just last week I emailed each parent a questionnaire so we could map out a strategy for their player similar to the infographic in your article. And yes, I have learned my lesson and am following up with each parent personally 🙂 I will be using your chart to better explain where we go from here based on their player’s personal goals. Thanks for the insights and interesting article. One of the most useful bridges to competitive match play in Junior Team Tennis. I’m a big believer in the format (USTA sanctioned or not). We are in a very rural location and have to load a couple dozen kids on a bus and transport them to playable courts 45 minutes away to play team tennis every week during the summer. The low pressure atmosphere has helped most of them transition to tournament play. I totally agree that match play is critical to developing players vs. hitters…and a real love for the sport. Great article. One thing that i would like to add is that I think the USTA is partly to blame. Today kids have to travel a lot further to play in sanctioned tournaments. You travel three hours and if you lose…turn around and head home. The kids can deal with it, but busy parents don’t like it. As co- tournament director of a small sanctioned tournament I can say without hesitation that the USTA is making it almost impossible to survive. Any small tournament has been labeled “entry level.” This wouldn’t be so bad if they enforced the rule by not allowing entry level players to play in the larger “advanced” tournaments. but needless to say larger tournaments turn away no players who are entry level. The bottom line is that the USTA should just be honest and say were down sizing and getting rid of all the smaller tournaments. I feel your pain Bob. I agree completely with you about the drills and no play time. So much that I took it upon myself to start a program where the kids have 45 minutes of drill and and hour of play at each of my tennis programs. Then we play matches either JTT or scrimmage twice a week and I also encourage my students to play on their own and call each other up. As a parent my kids have been in soccer and baseball where they have practice and then games. Tennis seems to be the only sport lately where you have clinics and drills, but no follow up with just playing the game. My students really like to play matches and games more than they like to just drill. Excellent insight from you. I am a recreational USPTA coach and will be testing in both the professional level USPTA and PTR this fall. Great article and something that I’ve both noticed and encouraged with my high school (boys and girls) players for years. It has seemed more noticeable, though, in the past few years with the emergence of more (summer) programs. Here in our area, a number of high schools host area doubles and singles tournaments each week at a super affordable price ($8), yet it can be like pulling teeth for many players, except the eager to advance ones, to sign up. So many, though, have signed up for group drills, either at a camp or at a local club. I recently coached a player for 3 seasons, who discovered the game late(r) around 8th grade. Solid eye-hand coordination, above average strokes. However, when the season rolled around, he struggled to win matches. Many times against what he perceived as lesser opponents. The all too familiar “I could beat that player 9 out of 10 times” would often fall out of his mouth, EVEN after losing the 3rd or 4th such match in a row. I would then remind him that drilling is different than playing/competing, and each off-season, I would encourage and challenge him to play matches. But he wouldn’t, yet he often would let me know how I could’ve coached him better. I would remind him that nothing replaces the experience of learning How To Play matches by playing them. Suffice to say, the frustration grew for both him and me, and he ended up not playing his senior season. I didn’t miss his critique of my coaching, but I did see it as a lost opportunity for this player to get true enjoyment out of the game because he was missing the key element- the playing/competing. Again this season and off-season, I invited and encouraged our players to play (matches). It’s the fun of it all, beyond winning or losing. Anyway, thanks for the article and perspective. It’s good to see someone who lives in the world of tennis doesn’t put drilling at the top of the list (even when it’s part of your livelihood). Thanks Dave. I know that it is definitely an uphill battle getting American juniors to play more matches ans sets.. Keep up the good fight.